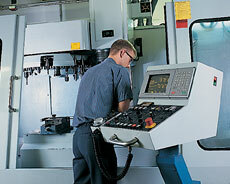 Dial-X Automated Equipment, Inc. designs and builds our own automation system tooling. This is a unique aspect of our business that allows us to better control our quality and turnaround time, as well as the ultimate precision and reliability of our automation systems. The tooling is a critical component of an automation system and it is the key to improving productivity and profits. Good tooling is an investment that can have a rapid ROI when it is done properly...when it is done by us. For further information or a free quote on automation tooling, contact Dial-X Automated Equipment, Inc.